If you are looking for a simple, affordable and legal wedding in a beautiful location, then read on. 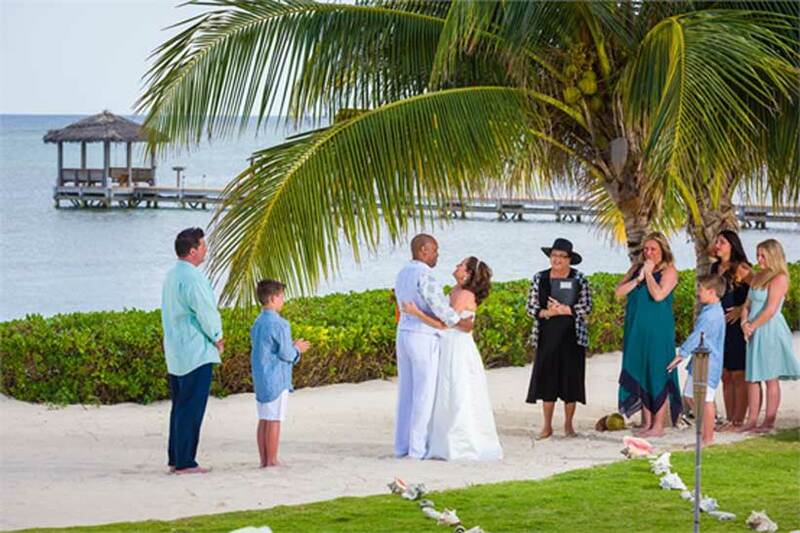 Getting married in Grand Cayman is an easy, straightforward, and affordable option, and Simply Weddings is the island company most visitors choose to help them plan a simple beach wedding, a Wedding Blessing (symbolic wedding) or wedding vow renewal. 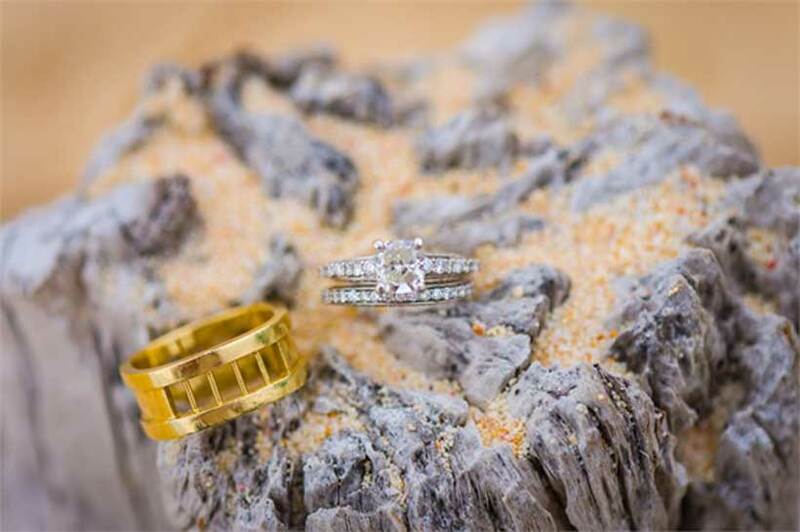 Whether you arrive by cruise, or one of the many airline companies which fly to the Cayman Islands, we will guide you through the requirements of getting married in the Cayman Islands. Once we know your proposed date, and that you are a visitor (different procedures apply for people who live here) we will send you Guidance Notes which outline exactly what documents you have to provide us with. You will need to make a credit card deposit of $250 to reserve your date and time. Should you have to cancel for any reason, or should in the unlikely event your ship does not port, we will refund you $200 of your deposit. We offer basic, simple all inclusive, and customized wedding packages. You can see our packages with prices on our website www.simplyweddingscayman.com. If you want a service which is not listed, then we will be happy to price it for you. We offer round-trip transfer and transportation packages if you are travelling with a group. 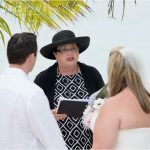 Simply Weddings is a Caymanian owned company, and offers you the benefit of many years experience in the wedding industry. 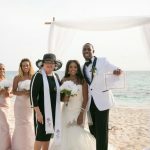 Owner and planner, Joy Basdeo MBE, JP is a knowledgeable Civil Registrar of Marriages, who will ensure that you are given the legal documentation to have your wedding recognized in your home country. She is also a Notary Public and can ensure that you get any additional documentation, such as an Apostille which the citizens of some countries may require. Simply Weddings works with photographers, florists, bakers, DJs, tour operators , stylists and make-up artists whose services they co-ordinate to ensure you have a seamless wedding day. 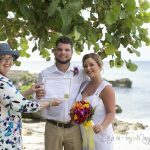 They take responsibility for procuring the Special Marriage License you need to be married in the Cayman Islands. There is no need for you to stand in line to complete the paperwork and get your own marriage license. When it comes to local customs, and the best wedding locations, Simply Weddings know all about the Champagne & Cork ceremony. Creating a Family Memory Vase, or getting those “taking the plunge” shots at world famous Smith’s Cove. 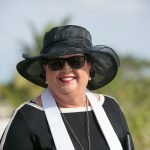 As a Wedding Officiant, Joy works with condos and hotels all over the Cayman Islands to deliver the legal aspects of your marriage ceremony. She will also send you the script of the ceremony she proposes to use, and work with you to personalize it. The result is a contemporary, n0n-religious, but deeply moving wedding ceremony which you will cherish for years to come.